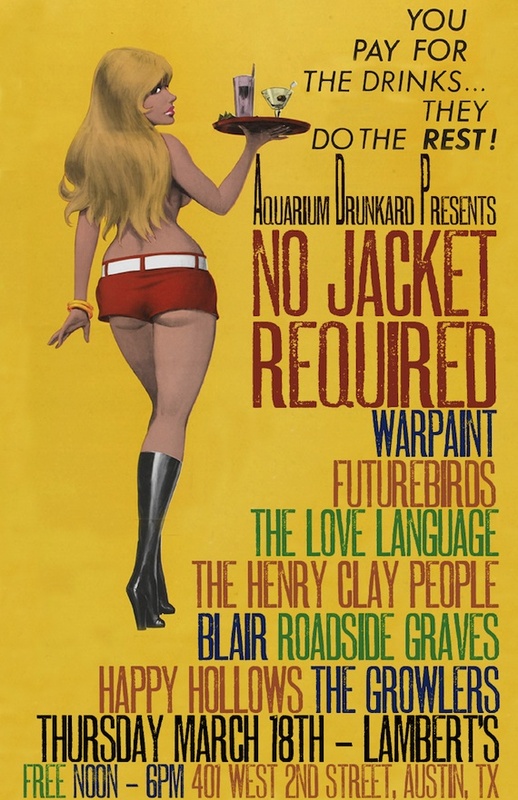 Aquarium Drunkard is presenting No Jacket Required, a SXSW day party at this year’s festival. The event will feature performances by Happy Hallows, The Growlers and more. The party is free, open to the public and no R.S.V.P. is required. Check out full details of the event on the flyer below!